The Michael B. Jordan-led sequel is getting close to casting the big bad guy—and he’s probably going to look a lot like Dolph Lundgren. Michael B. Jordan’s Creed sequel is looking to the past for its path to the future. After successfully spinning-off the Rocky franchise into Creed, the filmmakers are looking to make the sequel even more badass by bringing back Dolph Lundgren’s iconic villain Ivan Drago and using a new character, his son Vitor Drago, as the story's “big bad guy”. Sly hinted that Ivan Drago and his son will be included. Director Sylvester Stallone previously confirmed that Lundgren would be back—and Lundgren's sure been training for it—and teased that Jordan’s character, Adonis Creed, would face off against Drago’s son in the new film. With filming expected to start in early 2018 on the sequel, the production is ramping up casting for Vitor, and they're looking for a “big fighter” who is “in his late 20s” and has a “slight European accent,” according to sources who spoke with Moviehole. 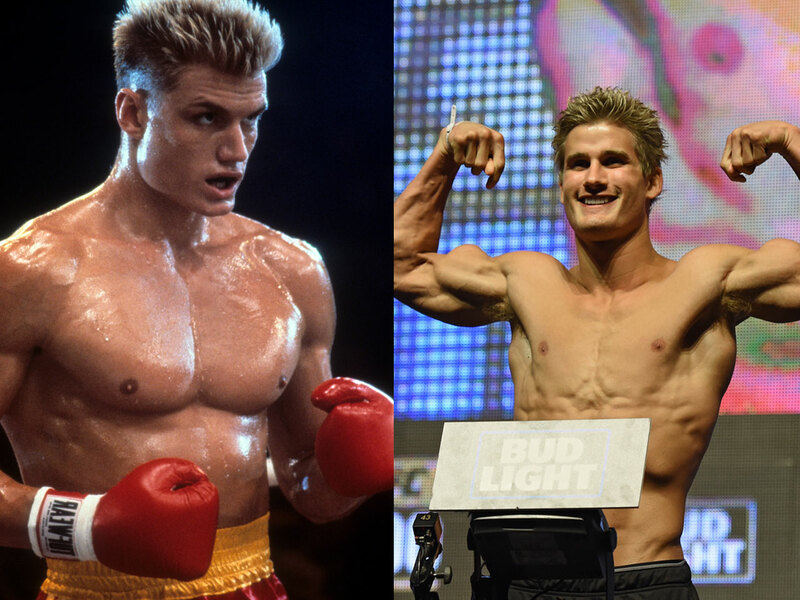 The character is described as “equally as arrogant as his old man,” but one who is determined to “regain some of the pride his father lost at the hands of Rocky Balboa.” While MMA fighter Sage Northcutt has already thrown his hat—or hair—into the ring as a potential option to play Drago’s son, the production hasn't given any hints about who could take the role. MMA Hour. "Got a little audition tape so hopefully that goes through. That would be pretty neat. Being Ivan Drago's son in the movie? That would be pretty fun. I had some friends of mine and they were talking about it with me, and I just got linked up with it. A few people, Mr. [Urijah] Faber, mentioned it too, so it was really cool how it all came together." The action film legend talks to us about getting in shape to reprise his role in "The Expendables 2." Stallone, who also wrote the script, previously teased the return of Drago for Creed 2 on Instagram—and Lundgren fueled things along by showing off his training for the film in workout videos. Expect an announcement on casting soon. Creed 2 is scheduled for release on Nov. 21, 2018.